How do you know that cauliflower is good for you? Why did you decide to start adding more beans to your meals or cooking with olive oil? In other words, where do you get your nutrition information? If you’re like most Americans…it’s from watching TV. After that, according to a survey by the Academy of Nutrition and Dietetics, we pick up our food and health tidbits from magazines, the internet, newspapers, and doctors…in that order. (This latest data is from a couple of years ago, so maybe newspapers not so much anymore.) But how do those sources stack up in terms of accuracy? So who can you trust to tell you how to boost your calcium intake and manage your carb cravings? Registered Dietitians, that’s who, of which I happen to be one. (Dietitian, yes. Grammar expert, no.) You can think of a Registered Dietitian, or RD, sort of like a Registered Nurse, or RN. They’ve earned at least a BS degree, but often an MS or PhD, in nutrition, completed an internship, and passed a registration exam. They keep up their credential with continuing education activities. So basically, there’s no one better to speak or write about the current nutrition science. A relatively new term used interchangeably with RD is Registered Dietitian Nutritionist, RDN. It means the same but just incorporates a word more familiar to the general public: nutritionist. This comes from the Academy of Nutrition and Dietetics (AND) which is the professional organization for food and nutrition professionals. Not surprisingly, they’re tied to 3 of the sites on my list today. So, back to the internet. How do you navigate through all the hype and misinformation? Luckily you can find RDs and their evidence-based advice all over the web…if you know where to look. Here are my five trusted online nutrition resources, backed by the power of the nutrition experts. The content for the Stone Soup blog comes from members of AND (nearly always RDs) with a different author each day. The posts are quick reads and topics include recipes (Dark Chocolate Almond Oatmeal Cookies), healthy eating tips (Get More Whole Grains in Your Daily Diet), and common sense explanations of scientific research (Drinking Your Calories: It All Adds Up). Where a bunch of dietitians gather and write about what they know, you’re bound to find something useful or educational about the food in your fridge. Imagine if Pinterest or foodgawker were only allowed to scroll healthy recipes down your screen. (It would certainly mean less temptation as you tried to avoid eye contact with the hoards of Frankenstein Cupcakes and Pumpkin Whoopie Pies this month.) Well, that’s exactly what the creators of Healthy Aperture designed. If a food shows up on their beautiful boards it’s been reviewed by a Registered Dietitian and meets nutrition criteria. Cool, right? I think it’s especially helpful if you follow a special diet since you can sort by dairy-free, peanut-free, or vegetarian recipes. Browse to your heart’s content and you might end up with a new idea for a quick and healthy dinner or a fun holiday appetizer that matches your New Year’s Resolution! The Vegetarian Nutrition Dietetic Practice Group (VNDPG) is a subset of AND members that have a particular interest or expertise in vegetarian diets. Their consumer site includes a blog, recipes, and cookbook recommendations. But perhaps their best resource is a collection of extremely helpful printable/downloadable Fact Sheets that answer common questions about plant-based diets, like: Are Soy Foods Safe to Eat?, What Do You Feed A Vegan Toddler?, and What Plant Foods Provide Iron? Take it from me, a vegetarian dietitian, you’ll want to bookmark this site. 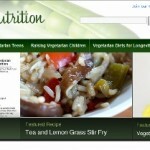 Nutrition Blog Network (NBN) is a collective listing of blogs written by Registered Dietitians. You can sort through this aggregator by browsing the categories like vegan/vegetarian, women’s health, or weight management. As someone who knows nothing about marketing, branding, or creativity, trying to come up with a name for my blog originally was daunting to say the least. So, one of my favorite things about NBN is imagining 700 dietitians in a similar boat and browsing titles to see what they came up with! 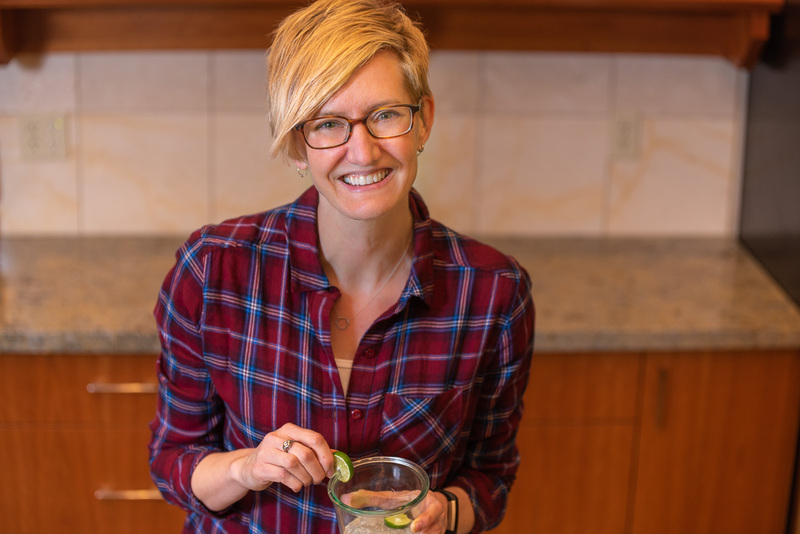 I follow Kath Eats Real Food and Delicious Knowledge, and several others. If I’ve succeeded in convincing you that Registered Dietitians are the experts you seek, perhaps you’d like to meet one in person instead of just reading their nutritionally-sound advice online. Maybe instead of general recommendations and recipes you need personalized dietary advice. If so, I’d recommend this handy dandy tool that allows you to search by zip code for a dietitian in your area. There’s also an option to specify a specialty that you’d particularly like them to have, like sports nutrition or diabetes. This is your chance! Write down all the food questions you have and make an appointment for a little one-on-one nutrition education. I feel like I should share a disclaimer of some sort with you just so I’m extra transparent. Bloggers are supposed to be up front with readers about their affiliations or any product they talk about that was given to them for free or with strings attached. It is true that I have some sort of connection with each of these recommended sites. I have written posts for Stone Soup, had pictures accepted to Healthy Aperture, been a member of VNDPG since college, and listed myself on NBN and RD Finder. But I have not been compensated financially or otherwise for these relationships. I guess what I’m trying to say is that I’m not sharing these links with you because I have a connection with them. I have a connection with them because I value the content or guiding principles which is why I feel like they’re worth sharing. Check them out for yourself and see what you think. But amid the loads of misinformation, sly advertising, and unreliable nutrition information available out there, I think you’ll see why I’ve been drawn to these sites in particular. Hopefully they’ll become trusted sources for you as well. I love this post! I’m going to share it with so many people!